This is a fabulous high fashion look with lots of volume and edgy angled shaping that creates a totally contemporary look. 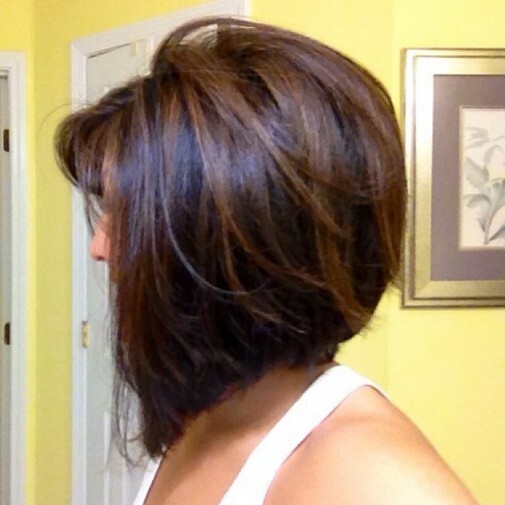 The back is stack-cut to boost the volume and then expertly graduated down to the front in a steep concave angle. This is a great style for thick hair as it relies on strong hair to create that wonderful ‘puff-ball’ silhouette. And the subtle highlighting and defined strands create wonderful texture and movement within the beautiful outline!